Each tape contains two complete half hour radio shows and is $5.00 plus s/h. Buy 4 tapes, get one free. Note: The 11/12/51, 2/1/52, 5/23/52, and 8/8/52 shows are not available on cassette. Call ahead for availability of individual tapes. Tape 7: Includes the 9/2/51 and 9/9/51 shows. Tape 8: Includes the 9/16/51 and 9/23/51 shows. Tape 9: Includes the 9/30/51 and 10/8/51 shows. Tape 10: Includes the 10/15/51 and 10/22/51 shows. Tape 11: Includes the 10/29/51 and 11/5/51 shows. Tape 16: Includes the 1/14/52 and 1/22/52 shows. Tape 17: Includes the 1/25/52 and 2/8/52 shows. Tape 18: Includes the 2/15/52 and 2/22/52 shows. Tape 19: Includes the 2/29/52 and 3/7/52 shows. Tape 21: Includes the 3/28/52 and 4/4/52 shows. Tape 23: Includes the 4/25/52 and 5/2/52 shows. Tape 24: Includes the 5/9/52 and 5/16/52 shows. Tape 26: Includes the 6/13/52 and 6/20/52 shows. Tape 28: Includes the 7/11/52 and 7/18/52 shows. Tape 29: Includes the 7/25/52 and 8/1/52 shows. Tape 30: Includes the 8/15/52 and 8/22/52 shows. These selections contain interviews, out-takes, radio broadcasts, concert and television performances not available on commercial RCA recordings. While not necessarily meeting present-day standards, they are offered due to their extreme rarity and interest. Each tape is $10.00 + S&H. PT 6 Out takes, Fluffs, Coca Cola Show extracts, Sound tracks. PT8 I’ll Walk With God: contains excerpts from the Christopher’s radio program and songs of love and devotion. PT9 Mario Lanza Sings Neapolitan Songs and others. PT13 A great tenors’ tribute with Richard Tucker, Luciano Pavarotti, Placido Domingo, Sergio Franchi, Enzo Stuarti, Giuseppe DiStefano and others singing Mario Lanza landmarks. PT15 Singer’s Spotlight, produced by Tony Partington. 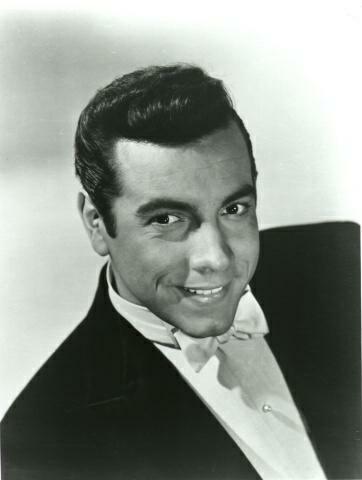 Mario Lanza’s life and songs. PT19 Private recordings of Mario Lanza and Kathryn Grayson (1948 through 1950). Includes a 1968 solo by Kathryn Grayson. Rare material-60minutes.